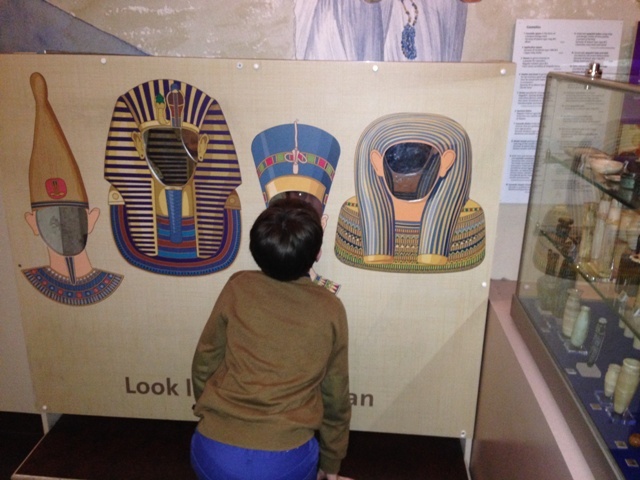 Wondering what to do on a wet half-term day, the World Museum in Liverpool was picked. We’d been before years ago so knew it was fabulous. 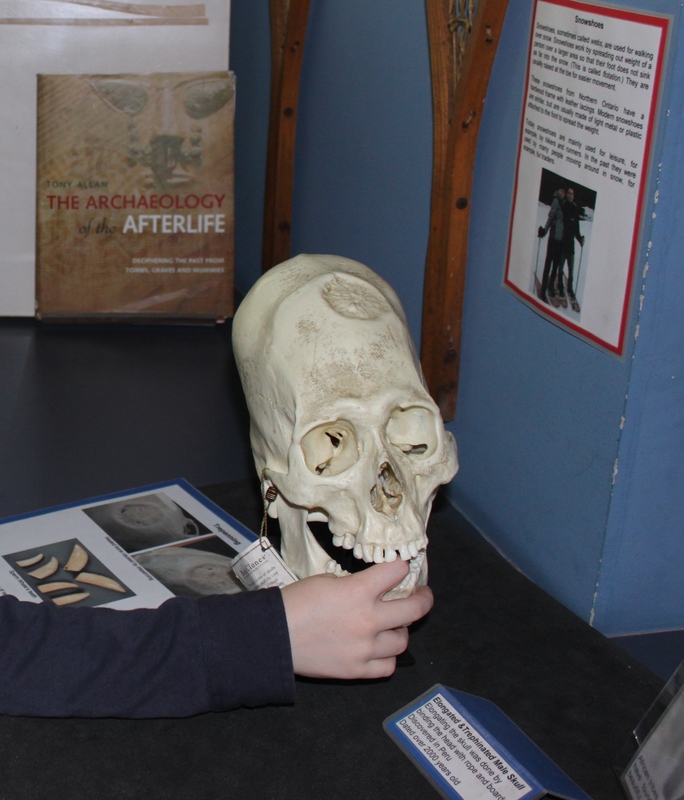 It still is – full of surprises and a huge collection of natural wonders and relics, all displayed in a fun, interactive way that is 100% child friendly. 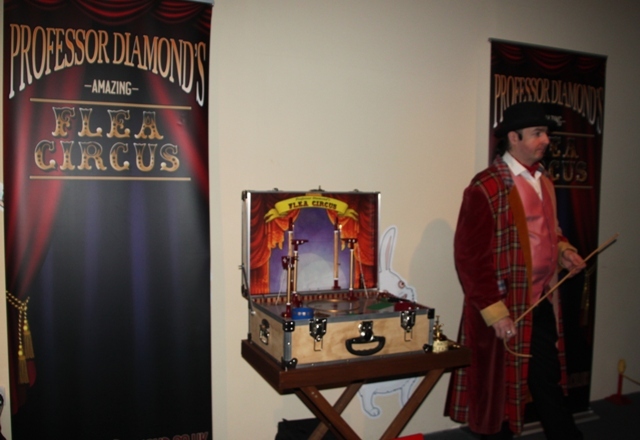 An added attraction for us was the Magic Worlds (temporary) exhibition. Son is obsessed with magicians and magic tricks, we have versions of just about every trick in the book and Husband and I have sat through hours of “magic shows” so I knew this would be right up Son’s street. It was. Admission to the museum is free but it was fairly busy during the school holidays. Unfortunately we couldn’t get tickets for their (fully booked) Planetarium Show. Not a problem though, there is a plethora of things to see and do and on the plus side, at least it means we’ll have to go back. Magic Worlds is all about illusion and fantasy, witches and wizards, fairies and folklore with plenty of modern day magician stuff thrown in for good measure. 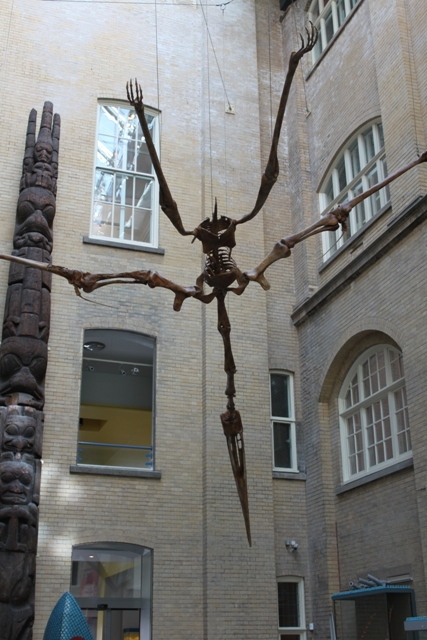 I often think temporary exhibitions in museums can be a bit lightweight and a let down – not so this one. We saw the Mad Hatter’s tea party laid out then climbed through the back of the Narnia wardrobe clad in fur. The displays were interesting, everything from Harry Potter’s broomstick to the original Sooty puppet and lots of magic toys from down the ages. For older children the displays were fascinating and very well laid out, while for younger siblings lots of hands on stuff meant no chance of boredom. Son and I dressed up as a witch and wizard and dropped creepy crawlies into a cauldron, before he dashed off to watch a couple of magicians perform tricks and display impressive sleight of hand. Totally engrossed, we had to drag him away 45 minutes later. The whole trip was worth it for this, he declared. We were just in time to watch the flea circus – I’d never seen one of these before, very entertaining and the “ringmaster” was top notch. Magic done, we tried to cram in a bit more of the museum’s offerings before closing time. 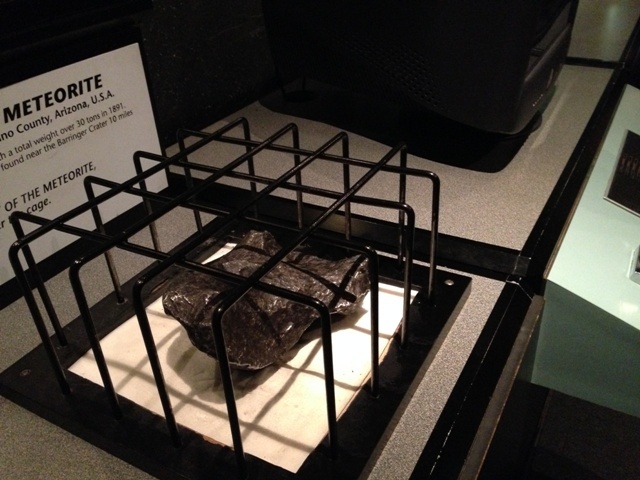 First was the Space section – we lifted (with difficulty) a meteorite from Mars which fell to earth over 50 years ago. Mind blowing to think it erupted from a volcano on the red planet 163 million years ago when the dinosaurs were still around. Speaking of dinosaurs, they were next on our list and we got up close and personal with an allosaurus, spied some dinosaur droppings and ogled the massive display of fossils. 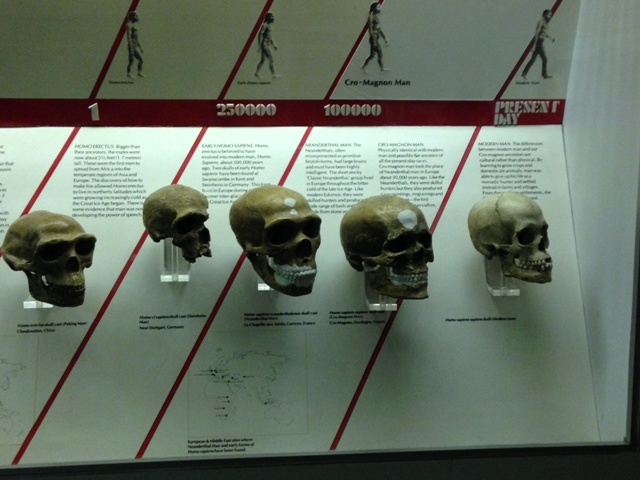 Next stop Ancient Egypt and the mummies – all genuine human remains of people who died over 2,000 years ago in Egypt. It was fascinating and we were just getting into it when an announcement advised the museum was closing shortly. Son was off like a rocket, the risk of spending the night with this sort of mummy was not one he cared to take. I was with him on that. We loved our day at this museum, a return trip is already on the cards to see bits we missed. 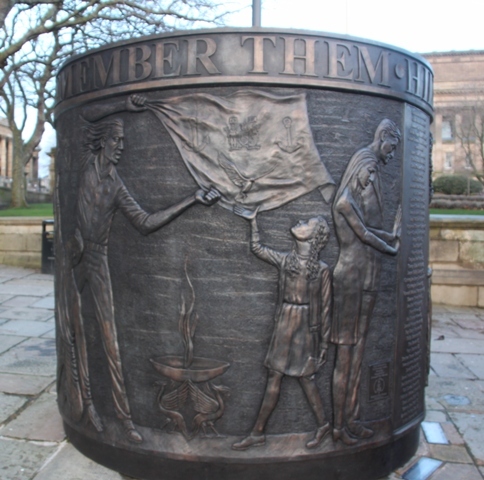 Just across the road from the museum we chanced upon the Hillsborough Memorial – a 7 foot high, bronze, drum shaped monument to remember the 96 people who died in 1989 at the Hillsborough Football Stadium. This is still the most serious tragedy in UK sporting history and I remember watching it on the news almost as it unfolded. Sobering to say the least when you read the names and ages of all those who died that day. A lovely memorial though, definitely worth seeking it out to look and reflect. Sounds like a magnificent day! Yes, we all had a fantastic time! This looks awesome! I will definitely have to check this out when we make our way to Liverpool. It is a great day out – plus really close to the centre (easily walkable) and the Albert Docks and free entry as well. Win win all round! Looks like a lot of fun. 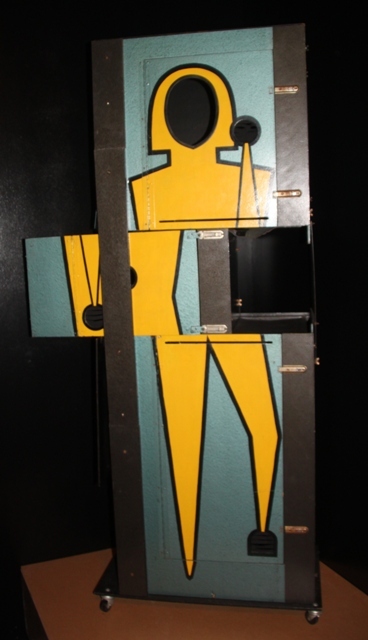 We were spoiled in the States when we could use one yearly membership at a science museum in New Hampshire to get into museums all across the country for free using the ASTC passport program. It was fun and a great day out. Mostly museums here are free so we try and fit in one a month somewhere, you never know how long they will stay this way! We did thank you! 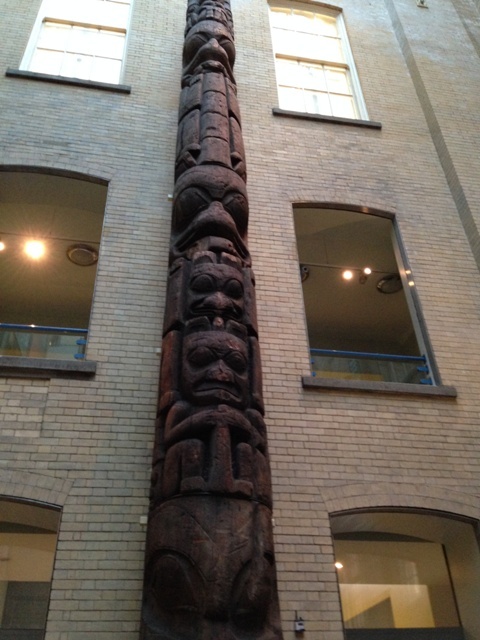 It is one of my favourite museums – so much to see and free as well!